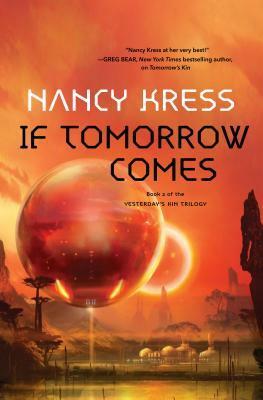 Nancy Kress’ Nebula Award–winning novella Yesterday’s Kin grew into a trilogy of the same name, beginning with the expansion of this work into the novel Tomorrow’s Kin. The first third of this expansion is the previously published story of visitors from another planet coming to Earth, and the rest of the book covers the ten years following their departure—including the aftermath of the imminent event of which the aliens warned the people of Earth before they left. It shows how it hit some parts of the world harder than others and its effects on the ecosystem, and it also explores various societal attitudes toward the aliens with many blaming the messengers as the cause of the changes that succeeded their warning. Beginning shortly after the end of the first book in the series, If Tomorrow Comes is a story of survival and adaptation that is mostly set on the visitors’ planet, now commonly known as Kindred. The United States has completed their starship and gathered a group of ambassadors, military personnel, and scientists—including Marianne Jenner, the main protagonist in Tomorrow’s Kin—to travel to Kindred with the goal of setting up diplomatic and trade relations with its people. Unfortunately, the US was not the only country to successfully build a ship capable of traveling to this solar system: the Russians, who suffered greater losses than most and are among those who hold a grudge against the aliens as the bearers of bad news, arrive and destroy the other country’s ship. Only eight of the crew from the US manage to escape via shuttle and remain alive after reaching the planet’s surface. There, they learn that the Russian ship also attacked three of Kindred’s four major cities, killing about one fifth of its people and ruining many of their hospitals and research centers—plus their own starship. Although I found If Tomorrow Comes to be perfectly readable and interesting, I did not find it as thoroughly engrossing as Tomorrow’s Kin (especially the part composed of Yesterday’s Kin, which remains the highlight of the series thus far). The ideas and science fiction elements were easily the best parts, from the exploration of how Kindred’s almost idyllic society could have come into existence to the integration of science. Yet, the novel’s execution could have been stronger in many ways, especially when it came to its characters. The most fascinating aspect was Kindred itself: the development of the world and how its people were both similar to and different from Earth’s when faced with the looming potential end of their civilization. Even before twenty percent of their people were killed, they had relatively few people compared to Earth, all of whom lived on one continent with one culture and one government. With their smaller population and land mass, their survival has always been precarious, and a woman who led them centuries ago instituted a peaceful but strictly regulated way of life—traditionally matriarchal due to her influence—that they continue to follow. They are particularly cognizant of protecting Mother World and her resources, and they do not have a military. No one is hungry or homeless since their large family groups tend to ensure everyone is provided for, plus they distribute their wealth. Though Kindred is more harmonious than Earth, its people are not perfect and it’s not a utopia, however. Crime rates are low, but crime does exist—and the threat of extinction has a way of shaking people up, with some of the people of Kindred resenting their visitors for the other ship’s destruction of their cities. As captivating as I found the worldbuilding, I would have liked to have been shown more of Kindred. The story is primarily centered on people from Earth, both those who recently arrived and those who chose to leave Earth on the alien starship years before, and most information about the planet is conveyed through the former explaining it to the newcomers instead of seeing it firsthand. They do, of course, interact and work with some of the local people and even meet a leader known as the Mother of Mothers, but most of their time on the planet is confined to a small area in which they conduct scientific research or a survival bunker begun by some of Earth’s former residents. These limitations do make sense since part of the conflict revolves around differences between the surviving military personnel, who want the others to remain in a secure area they can protect, and the civilians, who believe they are overreacting and want freedom to move as they please, but I would have preferred to learn less about Kindred through conversation and more through observation. The biggest weakness, in my opinion, is that it follows a lot of characters without providing enough development for most of them. The most central character was the most interesting to read about and the only one who had an at all satisfying character arc: Leo, a marksman recruited for the expedition to Kindred. He’s an optimist who tries to make the best of the situation when they are stranded on Kindred, doing his best to learn their language and understand their culture. He believes the best course of action is to work with Kindred’s local police, and he grapples with decisions related to loyalty, obedience to authority, and the greater good throughout the course of the novel. The other characters were not as well done. I did love Isabelle, a smart, compassionate woman gifted at understanding people’s perspectives and mediating disputes, but I was disappointed that she went from briefly being a viewpoint character to being viewed through the eyes of others: mainly through the eyes of the two men involved in a love triangle with her that I really could have done without. (That said, I did rather like that another potential budding romance became a close platonic friendship instead.) Her thirteen-year-old nephew who has spent most of his life on Kindred is another major character and succeeds at being both the most unlikable and the least interesting: he convinces himself that he has an important role in saving civilization that justifies being unethical, beginning with stealing and leading to far more despicable actions. 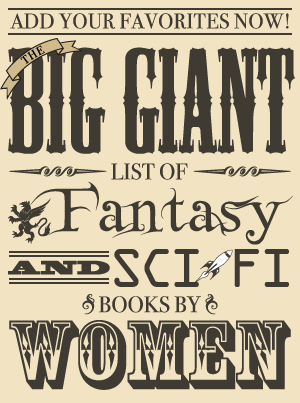 It also follows a doctor from Earth and the previously mentioned protagonist of the previous book, neither of whom seem as prominent as the others and have “big moments” toward the end that are not particularly satisfactory for different reasons. However, Marianne’s story especially ties into a component I rather enjoyed: the incorporation of science. This is science fiction in which science isn’t just some abstract concept that allows starships to travel to distant planets but is also a problem solving tool. When their plans for remaining on Kindred for a short term go awry, the survivors from Earth use scientific knowledge to determine the best way to adjust. The search for a solution to Kindred’s problem shows the scientific process, the frustration of waiting for an outcome then hopefully trying yet again and the exuberance that comes with seeing results. Science itself is a hero in this story that makes progress possible. If Tomorrow’s Kin has some flaws, including some of the execution of the resolution and those previously discussed, but it has its strengths as well and offers an intriguing look at how a society like Kindred’s could have come to be—and how they could have reacted to an existential threat. Although I didn’t find it as compulsively readable as the previous volume, I am looking forward to continuing the story in Terran Tomorrow (coming November 2018). Where I got my reading copy: Finished copy from the publisher.